The small town of Plainville Massachusetts just happens to be blessed with an unlikely resident. Best selling author Jeff Kinney wanted to do something special in the place he chose to raise his young family. Taking inspiration from author Ann Patchett in Nashville, Jeff bravely embarked on his project. He would transform a dilapidated historic building in an unlikely town into a stunning three story book store, cafe and function room. 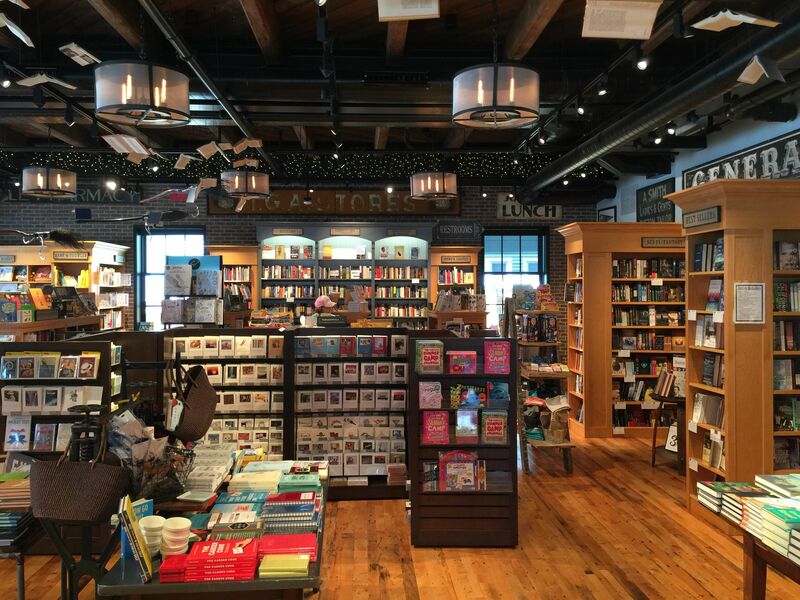 I recently attended an author talk on the second floor of the Unlikely Story. Author Thomas Christopher Greene read excerpts from his book If I Forget You, and spoke about the publishing process. Although it was a beautiful summer day, twelve of my fellow book club members showed up for the event where Thomas Greene entertained us with his ideas about writing and what he feels is his obligation to the reader. We enjoyed every minute of it, especially since our next book discussion would be about his previous book, The Headmaster’s Wife. Last night we had that discussion. All of us thoroughly enjoyed the book, a bit of a mystery with a major twist in the middle that none of us saw coming. The author develops rich, complicated characters while drawing the reader deeply into their tragic lives. Book club members commented, ” I couldn’t put it down.” Some kind of sadness lurks on every page and yet some of us had sympathy for the main characters. As in the real world, even the best of us are flawed, and somehow he manages to get this on the page. Let’s just say that Thomas Greene can tell a story! So check out their website http://www.anunlikelystory.com and take a day this summer to visit An Unlikely Story. 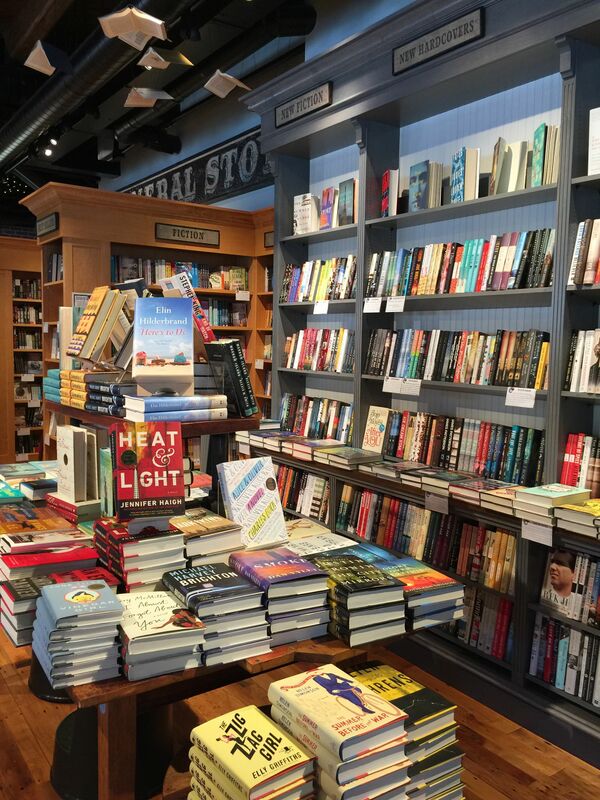 You’ll fall in love with this unique independent bookstore. Buy a book and settle into the cafe with a friend. 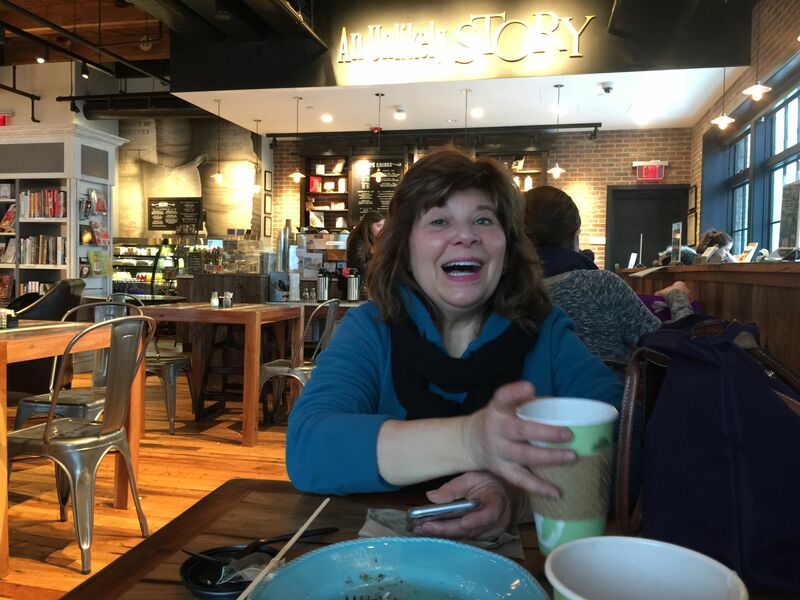 Here’s a photo I took of Claire the facilitator of our Library book club enjoying a great cup of coffee on a cold,snowy day last winter. Always a lovely place to spend time, it’s exciting to enjoy both adult and children’s author events at local venue! Memories of good times….I think the car was covered with snow by the time we left. 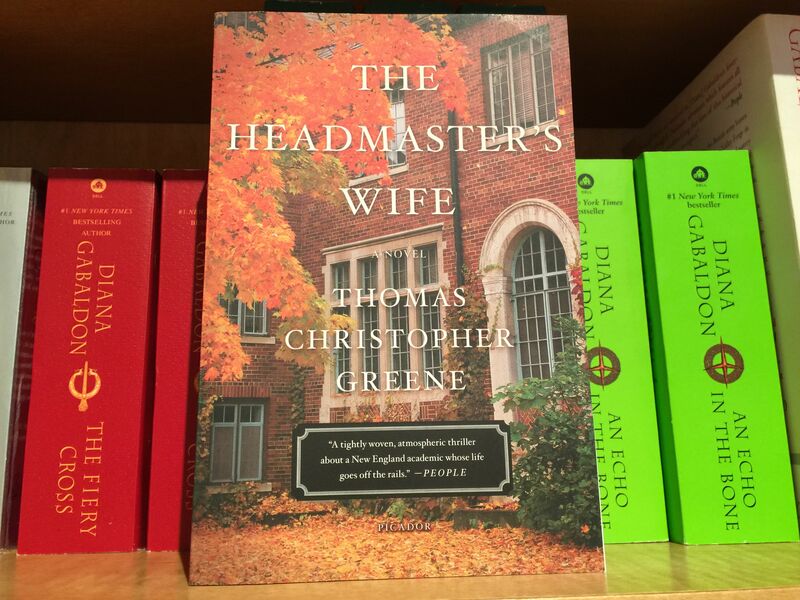 Thanks to your blog, I read The Headmaster’s Wife and loved it. Would love to have heard the author speak. I am now on the Unlikely Story’s email list. What a great place. I’m so glad you enjoyed the book and now you will know about future events at Unlikely Story. Have a great summer!